The problem of the origin of the Witwatersrand gold-uranium deposit is considered. 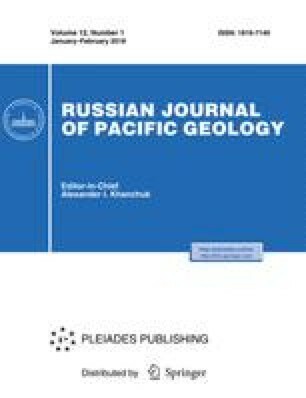 The fluvial and explosion hydrothermal origin of pyrite spheroids and Au-bearing pseudoconglomerate is denied. Evidence for the primary character of spheroids and the autochthonous crystallization of pyrite under endogenic conditions is furnished. The association of gold with carbonaceous rocks is interpreted in terms of the nuclear magnetic physicochemical phenomena. It is concluded that the Witwatersrand deposit is a hydrothermal metasomatic deposit. Original Russian Text © N.A. Shilo, 2007, published in Tikhookeanskaya Geologiya, 2007, Vol. 1, No. 5, pp. 101–111.